The project l’Enfant Penchée Photomontage is a school project of 18 students in three groups of six men/women. The teacher give them a page to do in Adobe Photoshop. 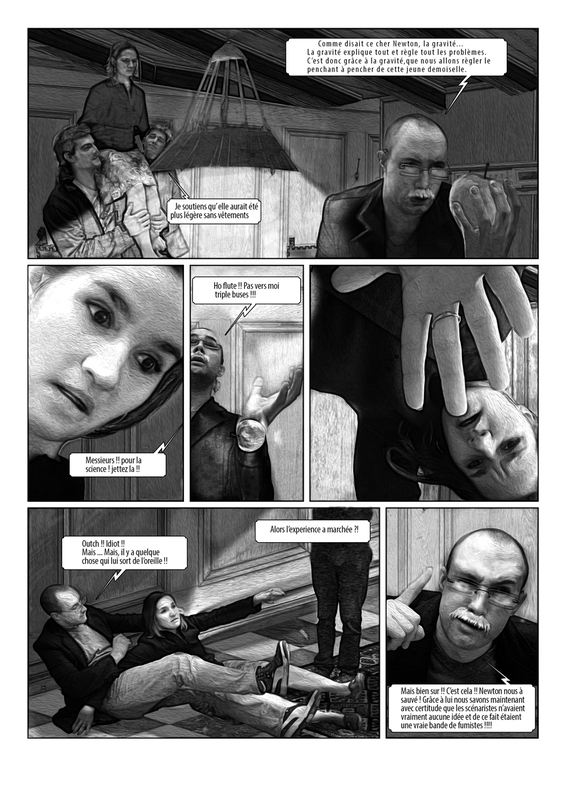 Together they did 3 pages of the Obscure Cities comic book L'Enfant Penchée. In this project the groups accepted the challenge to remake the original page with real human figures. Optionally they had to make a second page that could be a reply or follow-up of the remake page. The photoshop work extended 4 days searching environement on the internet, cropping the character, doing the pictures and text, and a work of light and darkness in each pictures. Guillaume Heude, one of the participants: “Why we chose this comic book? i realy dont know, some of us discovered Les Cités Obscures with this project thanks to our teacher. I think the artist is a great artist and architect and the scenario is amazing, it is a wonderfull comic book”. 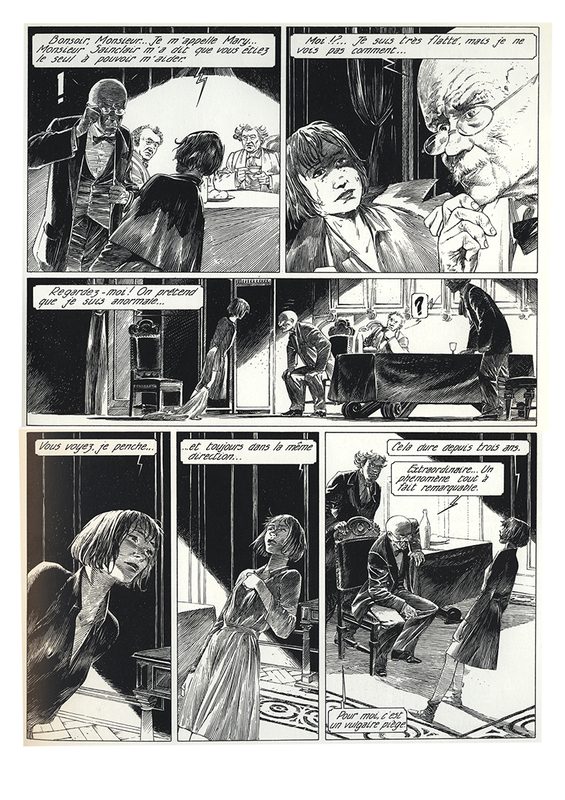 First the original page of L'Enfant Penchée by François Schuiten and Benoît Peeters. 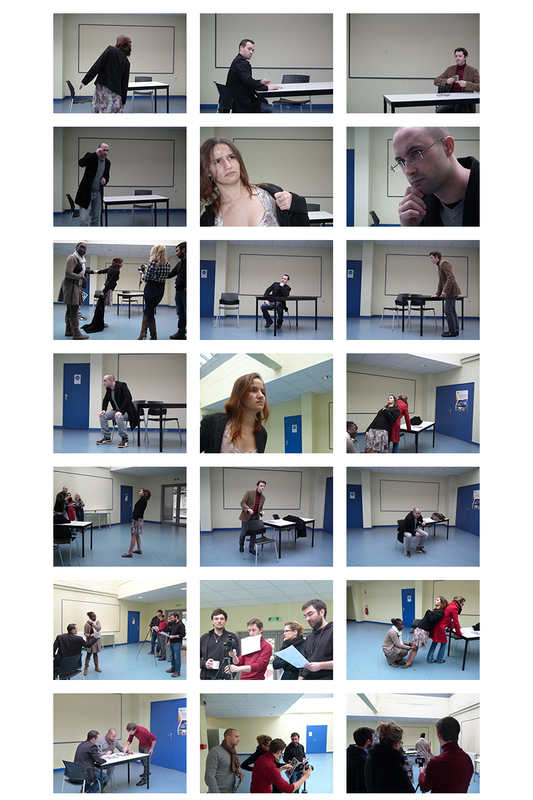 Secondly the remake by Guillaume Heude 1) and as third some making of shots. 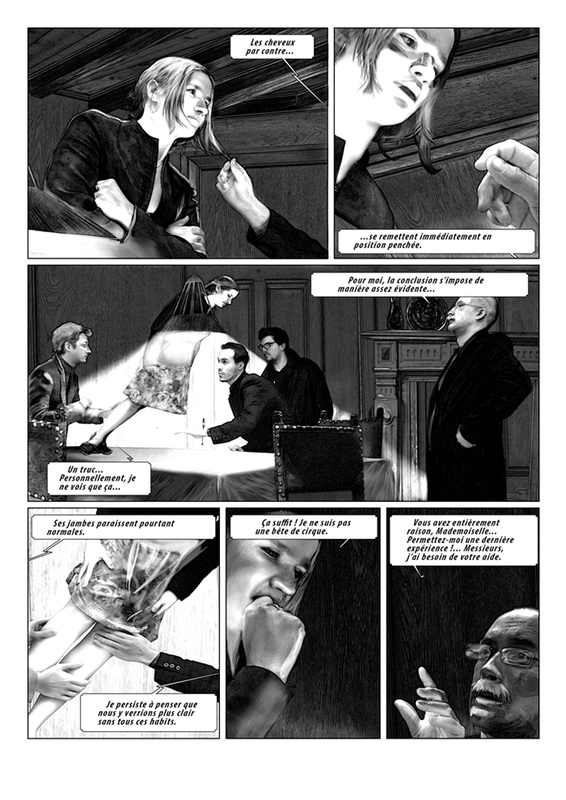 First the original page of L'Enfant Penchée and the remake by Grégory Vosges 2). 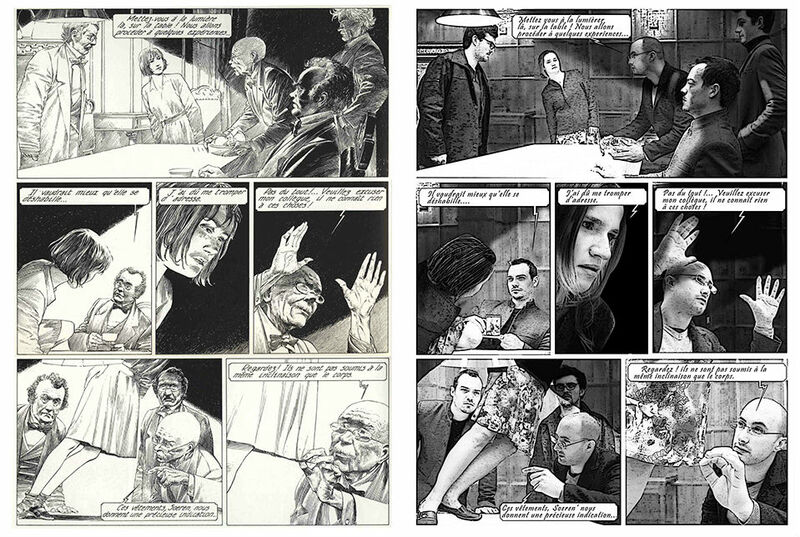 Secondly the design and the finished follow-up on this page. 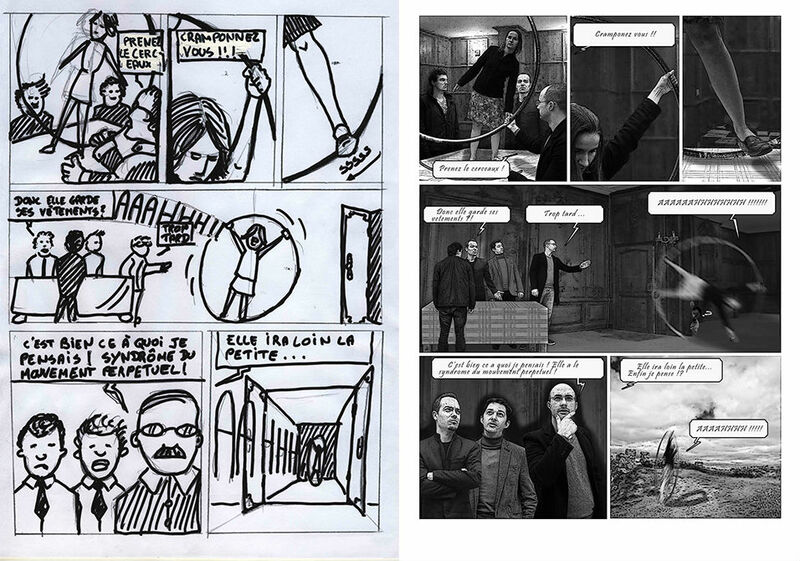 First the remake of L'Enfant Penchée page by Coralie Lefort 3) and second the follow-up page.